Posted in Accidents by Mikhail Voytenko on Feb 05, 2016 at 14:29. General cargo vessel AMUR 2516 reportedly suffered hull breach in collision with ice floe in Azov sea, on Feb 3. 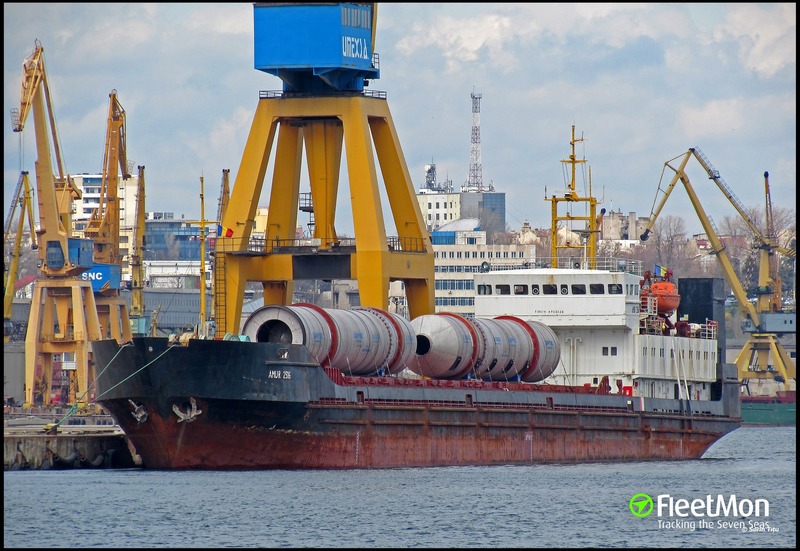 Vessel loaded with pea was en route from Azov port to Ambarli Turkey. Crew wasn’t able to put under control water ingress, vessel was in danger of sinking, master decided to intentionally ground the vessel, to avoid sinking. AMUR 2516 was grounded on Feb 3 off Dolzhanskaya, west of Yeysk, northeast Azov sea. as of 1400 UTC Feb 5, vessel was in the same postion, aground off Dolzhanskaya village.